Contracts and Purchasing Services is pleased to announce the new SJSU official business stationery (envelopes, business cards, letterhead) is now available to order from our supplier OfficeMax. SJSU’s contract with our prior vendor had expired, making a new arrangement necessary. You will notice that prices for some items — notably, business cards — have risen. Prices through the old vendor were established eight years ago, when that agreement was established. Paper costs have risen appreciably over that time. 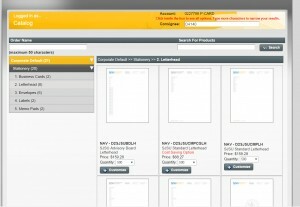 There are cost-saving options for many of the new items, clearly identified in the ordering portal. And you are not expected to order new supplies until your existing stocks are depleted. University business stationery and other digital print services can be ordered in the Print and Document Services portal found in the same OfficeMax website used to order office supplies for your department. Great news! 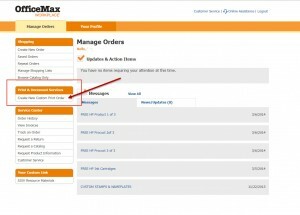 All current OfficeMax users will have access to this portal so there is no need for you to send us a request to ask for it. 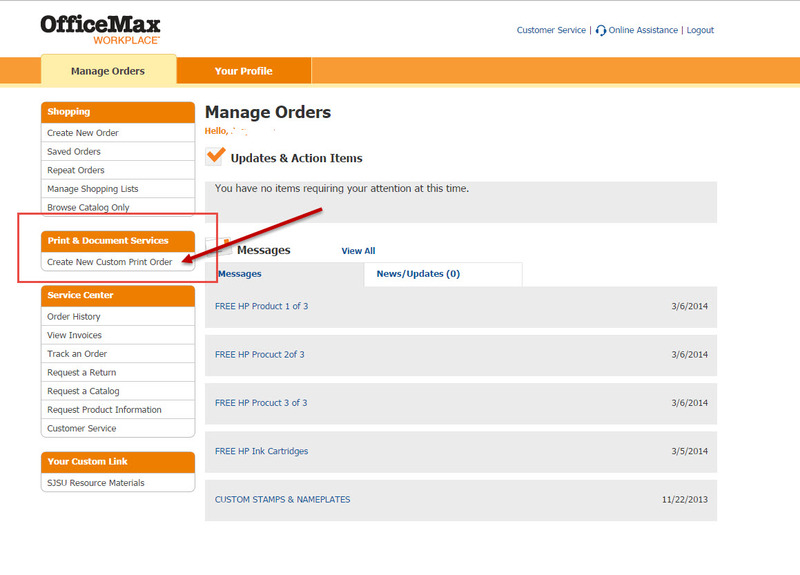 Pic 1- The Print and Document Services portal can be found on left side of the OfficeMax Main Menu page. 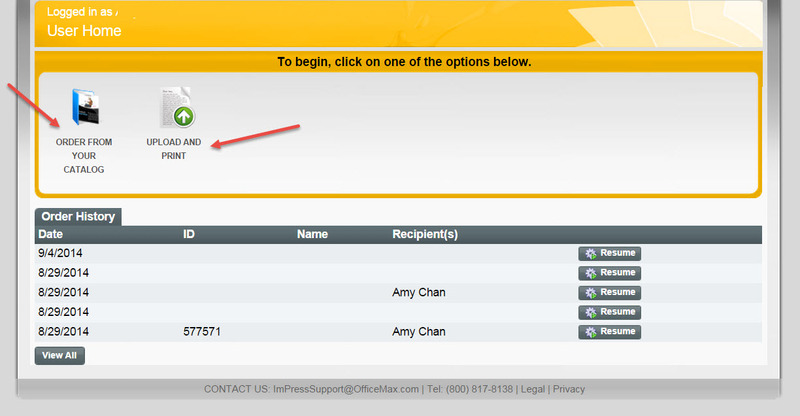 Pic 2- Print and Document Services portal. 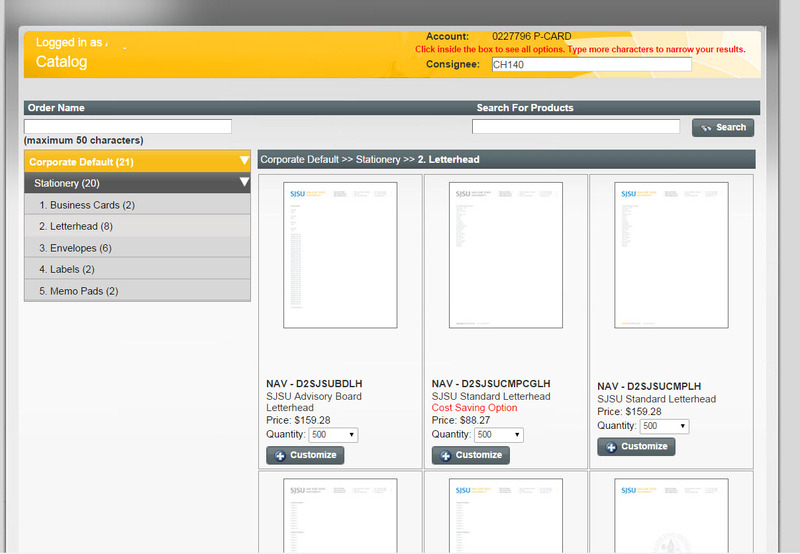 For SJSU business stationery, click the ORDER FROM YOUR CATALOG icon. 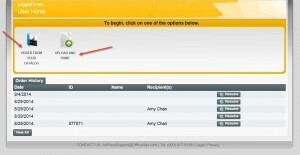 For other copy and print services, click Upload and Print icon. Pic 3- Select type of stationery from the drop down menu. The stationery styles will display.